As a member of the Hours of Service (HOS) Coalition, the International Warehouse Logistics Association is a co-signer of a letter asking members of the U.S. Senate Appropriations Committee to reconsider the hours-of-service restart provision. The HOS Coalition says this restart plan is based on unjustified decision-making using novel information to support the rule. In July 2013, the U.S. Department of Transportation implemented more stringent HOS criteria with the hope of increasing the health and safety of drivers and the general public. Specifically, the HOS rule placed a 34-hour restart limit on drivers every seven days or 168 hours. The break must include two periods from 1 a.m. to 5 a.m., and it mandates a 30-minute rest period for every eight hours of driving. Now, nearly one year later, the U.S. Senate Appropriations Subcommittee on Transportation-HUD is considering the Commercial Motor Vehicle (CMV) Driver Restart Study in the FY 2015 Transportation, Housing and Urban Development (THUD) Appropriations Bill. 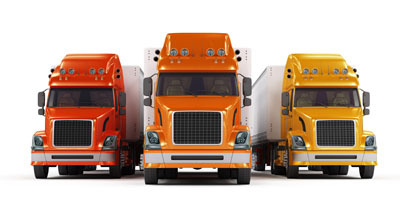 This includes a peer-reviewed study of driver fatigue using electronic logging devices (ELDs) to accurately track drivers and yield objective data. The HOS Coalition is in full support of increasing driver health and safety, however what is more apparent in its first year is the economic hardships the rule has placed on thousands throughout the supply chain. The HOS Coalition cites that the rule has yet to exhibit corresponding health or safety benefits. In fact, as the letter points out, the rule forces more trucks on the road during daytime hours, when the roads have the highest incidence of public use, thereby increasing congestion and crash risk. One-year suspension hold on hours-of-service rules. Support for the proposed Commercial Motor Vehicle (CMV) Driver Restart Study in the FY 2015 Transportation, Housing and Urban Development (THUD) Appropriations Bill.